I apologize if this has been asked before, but I searched the forums and came up empty. I'm doing my first MR conversion with a 2005 Maul I bought on ebay, board only. 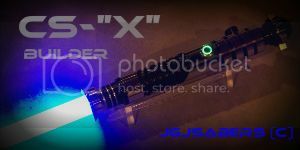 Having no experience or access to an MR saber before I wanted to know if other than the clash sound, is there a clash effect with the LED. i.e. a strobe or flicker, or does the LED only stay the solid color all the time. I'm using a 3W Lux deep red, everything else is working perfect. Thank you for any comments and help. Those boards do not have any clash effects for the blade. Excellent, everything is working right then. Thank you Jay-gon!